Managing your expenses, including your insurance premiums–which directly impact your bottom line–is even more critical in today’s economy. Understanding and strategically preparing for your audit process can reduce the likelihood of premium errors and over-payment. An accurate annual audit process can be your best friend when it comes to keeping more money in your pocket. Please take a few moments to read the following to see how you can make the audit process work most beneficially for you. Insurance audits are typically performed on commercial general liability and workers compensation policies. When these policies are initially issued, you are essentially asked to pay an estimated premium since the premiums are based on projected exposures (i.e. gross sales, payroll, number of admissions, subcontractor costs, etc.) for the upcoming policy term. Soon after your policy expires, the insurance carrier will initiate an audit–which may be via phone, mail, or in person–to ascertain the accuracy of your projections. Since everything is always clearer “in the rear view mirror,” it is very easy to look back on the expired policy term and collect exact exposure data. With this information in hand, the insurance company can then determine exactly what your premium should have been for the prior year. Once the audit is finalized, the insurance carrier will prepare and mail you a Final Audit Statement that will indicate any additional premium you owe or any credit you will receive due to your actual incurred exposures as determined by the auditor. Your goal should always be to have your projections as accurate as possible so your audit results in a minimal premium change as carriers expect payment of audit premium in full. What Do I Need to Do to Prepare for an Audit? In respect to the audit process, it would be wise to adopt the official motto of the Boy Scouts of America: Be Prepared! Since audits are inevitable, the more prepared you can be, the more straightforward the process will go. Payroll Records–includes payroll journal with overtime reflected separately, quarterly federal tax reports (941’s), 1099’s, state unemployment reports. Cash Disbursements–payments to subcontractors with invoice separately reflecting materials and labor. Sales Journal–includes separately all goods or products sold, rented and/or distributed as well as service, repair and installation. Sales or excise taxes collected separately and submitted to the government need to be identified if you would like them to be excluded. Miscellaneous Records–if premium basis is other than sales or payroll, an applicable record is needed to support the basis (i.e # admissions). Certificate of Insurance–reflecting workers’ compensation and/or general liability coverage in force, with limits at least equal to our greater than yours, at time work performed. If seeking to split the payroll for an individual employee between multiple job classifications, must provide records reflecting actual working time and wages for each classification. If you have questions on whether it would be helpful to provide additional information to the auditor, please do not hesitate to contact our office. Review the classifications on your policy to assure they accurately represent the current operations of your business as each classification has its own specific rate and directly impacts the premium. The primary classification of your policy is determined by the one that best describes your business. Additional classifications may be required if some work performed is outside of this primary class. Separate all overtime paid to your employees as overtime hours should be included at straight hourly rate only rather than time and a half or double time. With workers’ compensation, payroll of sole proprietors, partners, or officers are subject to a minimum or maximum basis rather than actual payroll incurred. (Officers $10,400 minimum/$52,000 maximum; Owners/Partners flat $41,300). Please note their payroll should only be included if they have opted for coverage. If proper documentation is not maintained validating work performed per classification for employees with multiple responsibilities, all of the payroll for the employee will be placed in the highest rated classification. Keep on file current certificates of insurance for all of the subcontractors who performed work during the policy period. If you do not maintain these, any monies paid to subcontractors will be included in the final audited payroll for that policy term as if they were employees. If their work performed is outside your standard class codes on the policy, the necessary class codes will be added. For subcontractors who have provided insurance certificates, it is imperative that invoices from them separately reflect the labor vs. material charge so you are not audited on the material figure. If the subcontractor is a sole proprietor or partnership, refer to the attached guidelines for acceptance of their certificate for workers’ compensation. There are many items should be excluded from payroll, please refer to the attached document for a listing. In regards to general liability classifications with a premium basis of sales, please refer to the attached document for items that can be excluded. Before the auditor leaves, request a copy of the auditor worksheets to be able to validate the classifications and premium basis utilized. What are the Ramifications of Not Completing an Audit? Insurance Company will estimate the audit increasing the premium basis and invoice you for the resulting additional premium. Failure to pay this will result in the current policy term being cancelled for non-payment of premium and referral to collection agency if needed. If you elect to seek replacement coverage with an alternative carrier, they will usually require that the prior carrier’s balance be resolved before providing coverage. Issuance of a cancellation notice on your current policy for failure to comply with the audit terms. This can only be prevented by by complying with the audit requirements before designated cancellation date. These consequences are daunting but can easily be avoided by simply following the ever popular slogan–Just Do It! As your Trusted Advisor, we are available to consult with you and the auditor to assure that your operations and employees are being accurately classified. 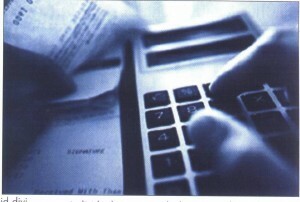 In addition, we can assist in reviewing the auditor worksheets to verify that an accurate exposure basis was utilized. Contact us if you have any questions or require assistance in preparing for or finalizing your audit. 800-95-TOOLE or riskmanagement@tooleinsurance.com.